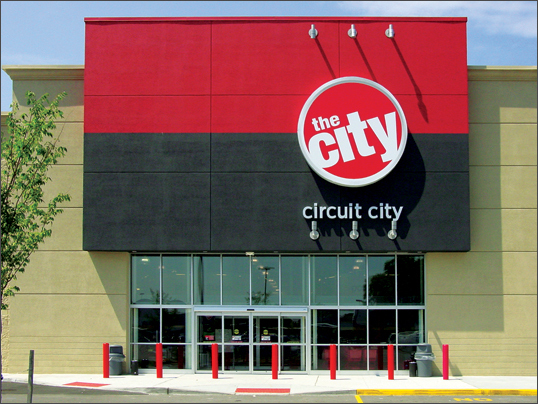 What We Did: Worked with a team of designers at Circuit City to develop a complete graphics package for a new concept store simply dubbed "The City". 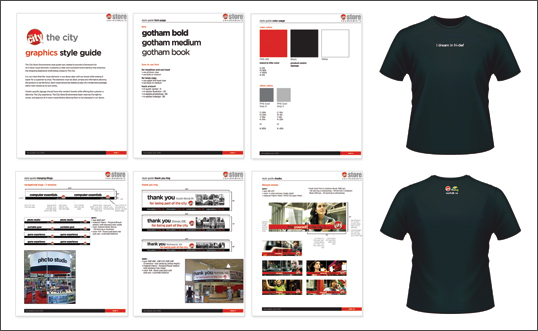 Project Details: We developed and created a complete set of brand standards, style guides, apparel and graphics package consisting of hundreds of individual components for this unique and cutting edge technology retailer. Think Apple store meets high school science lab with a free flowing layout and the coolest technology everywhere you look. Circular tables and internally lit hanging banners echoed the look and feel of the brand and highlighted the best and brightest products from each respective category. 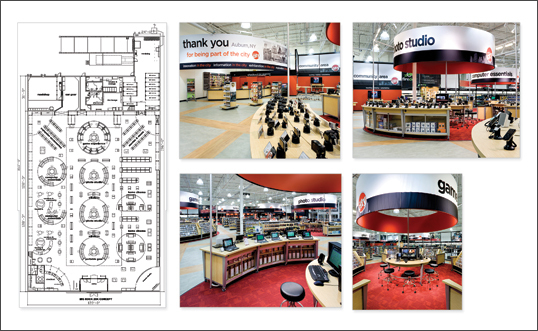 All signage and navigation were completely changed in this store to give the customer a relaxed and effortless shopping experience.